Adam Comrie has signed a one-year contract with Klagenfurter AC of the EBEL. 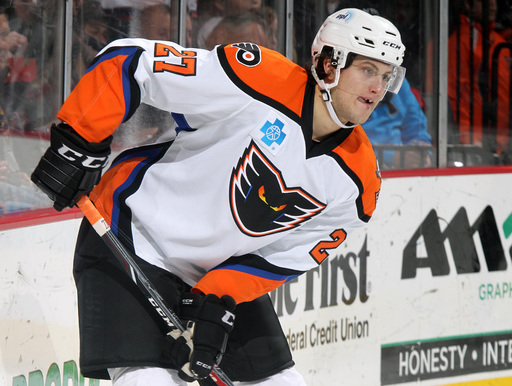 The 27-year-old Canadian defenseman spent a majority of this past season with the Utica Comets of the AHL after being loaned out to the Lehigh Valley Phantoms from the Reading Royals of the ECHL. This will be Comrie’s first time playing for a team overseas.